• Apply font and color settings quickly with the Style Formatter. • Navigate quickly with page thumbnails. • 3 Zoom levels to increase screen text size. • Insert images from Photo Roll and Camera into RTFD documents. • Paste images from the Pasteboard. • Readable Width assists editing on an iPad. • Adjust Auto Capitalization settings. 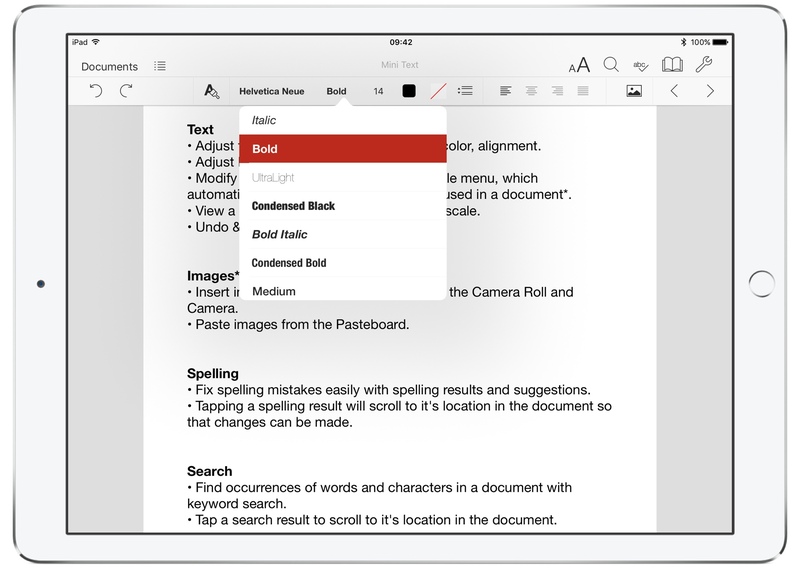 Fix spelling mistakes easily with spelling results and suggestions. 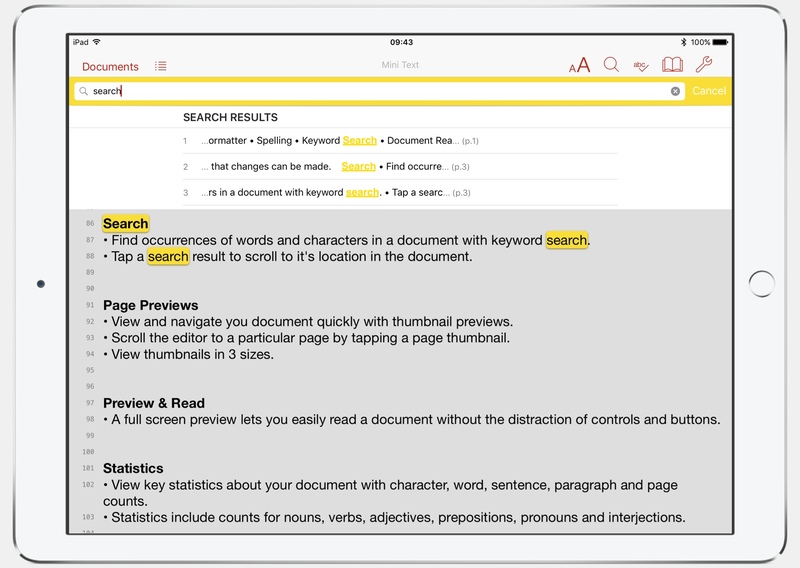 Find words and characters with keyword search. Store documents in iCloud so that they are available on all your devices. Import TXT, RTF and RTFD files from Email attachments, iCloud Drive and iTunes. 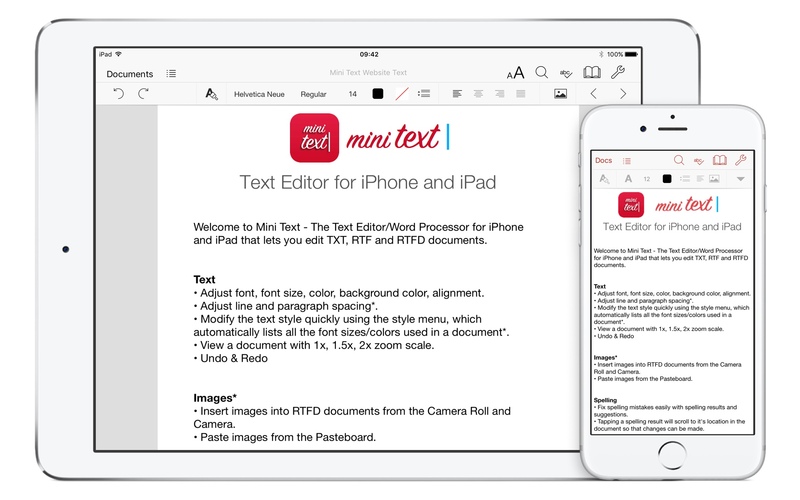 Share documents by Email, iTunes and iCloud as PDF, RTF, RTFD, TXT & HTML. 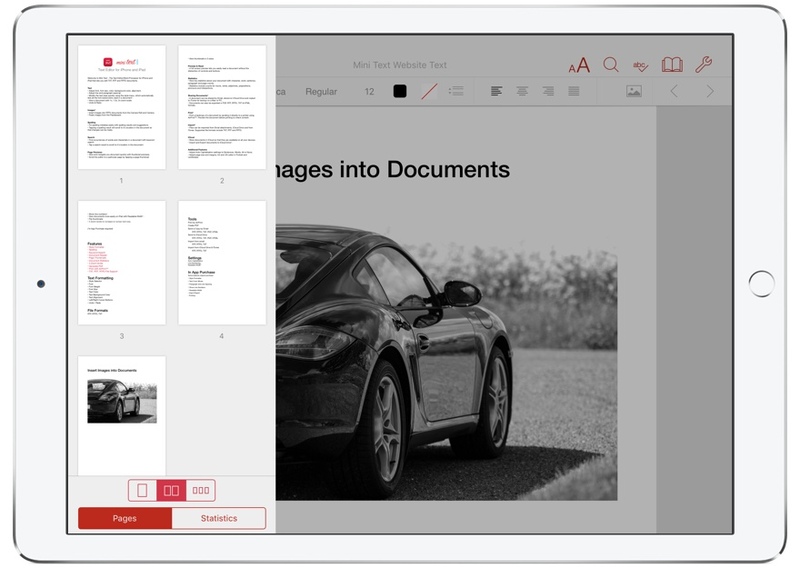 Preview and Print directly to a printer using AirPrint™.